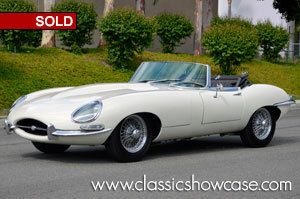 *Please note that this 1966 E-Type is for sale only as a Classic Showcase restoration project. Please see our restoration page for further information. This XKE has held long term ownership in one family since 1972, and is showing 93k – which is believed to be original. 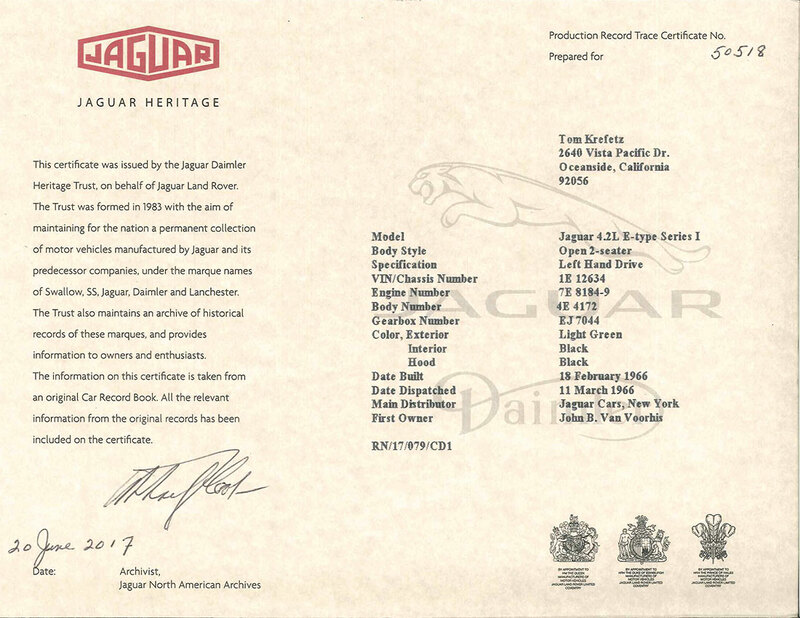 The E-Type has mostly original interior, and a replacement soft top, and comes complete with service receipts totaling over $7,000 in work. The best part here is – it is a matching numbers example that is a solid car with just minor metalwork needing to be completed. The XKE is running and driving condition now, and is an excellent candidate for a comprehensive restoration to show or show/driver level.